Here are our picks this weekend. Four events in the Portland metro area you may want to check out, and four restaurants you may want to try. PORTLAND, Ore. — Each week, KGW provides a list of four events you may want to attend in the Portland area over the weekend, and a list of four restaurants you may want to try. Some of the events this week will require a drive from Portland but are longstanding Oregon traditions. Here are our picks for this weekend. It’s spring which means it’s time for the Wooden Shoe Tulip Fest! The festival begins Saturday in Woodburn and runs through April 29. You can spend your day wandering through the tulip field and taking pictures of the colorful beauty. Tickets are $5 for one person, $20 for a family car one-day pass and $40 for a season pass. When: March 23-April 29. Monday-Thursday 9 a.m. to 6 p.m. Friday-Sunday 8 a.m. to 7 p.m. 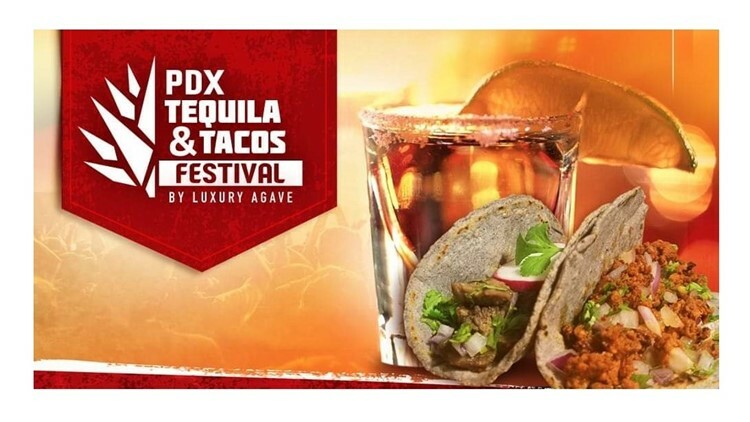 The third annual PDX Tequila and Tacos Festival is at the Portland Expo Center on Saturday. There will be live music, activities, and of course, tacos and tequila for you to try. The event is 21+. Tickets range from $15-$80 depending on the experience you choose. Parking is $10. When: Saturday, March 23, 4:30-10 p.m. In addition to the Tequila and Tacos Festival, the 45th annual “A Festival of Quilts” is at the Portland Expo Center this weekend. Over 300 quilts will be on display and there will be more than a dozen vendors offering quilts for sale. Tickets are $8 for people ages 13 and older. Children 12 years or younger get in free. Parking is $10. When: Friday, March 22, 10 a.m. to 5 p.m. Saturday, March 23, 10 a.m. to 4 p.m. Looking to get out of Portland this weekend? Whale Watching Week on the Oregon Coast begins on Saturday. Try to spot gray whales as they travel north on their way towards Alaska. Volunteers will be stationed at 24 designated locations from March 23-March 31 from 10 a.m. to 1 p.m. When: March 23-March 31. Volunteers at 24 locations from 10 a.m. to 1 p.m.
La Arepa are family-owned Venezuelan street food carts owned by Antonio Gutierrez and wife Elsy Rodriguez. The couple opened their first cart in 2010 at 6035 NE Halsey St. after deciding they wanted to bring a little bit of their culture to the Pacific Northwest. After receiving an overwhelmingly positive response, they opened the second location at 7238 SE Foster Rd. Autentica on 5507 NE 30th Ave prides its self with serving authentic Mexican cuisine inspired by chef/owner Oswaldo Bibiano's hometown of Guerrero, Mexico. Autentica chooses only the freshest ingredients from local farms creating flavorful sauces and handmade tortillas. The restaurant also offers vegetarian options. Irving Street Kitchen is led by chef Sarah Schafer and creates a casually elegant American cuisine menu meant for sharing among family and friends. Irving Street Kitchen is located at 701 NW 13th Ave. and also offers an exceptional list of cocktails, local wines, beer on tap, and an extensive bottle list. Ken’s Artisan Pizza is located at 304 SE 28th Ave. It opened in 2006 after the success of Monday night pizza at Ken's Artisan Bakery. The restaurant uses a wood-fired oven to make savory pizzas in Portland. The restaurant also offers four beers on tap, a 100-bottle wine list with a selection of 15-20 local options by the glass.